A relieving retreat from the concrete jungle city lifestyle, where we bring together a potent mix of hypermarket, showrooms, lifestyle retail stores, F&B outlets, Bars & lounges, Food Bazaar and more. 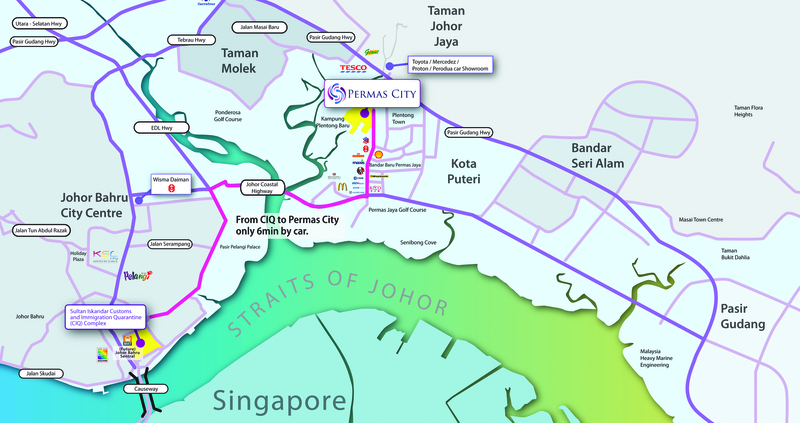 Permas City will bring suburban lifestyle shopping, entertainment and gastronomical therapy to a whole new level in Johor Bahru . Elegant and Fine Dining Discover tantalising cuisines at the myriad choices of F&B outlets and Themed restaurants in this premier Food Paradise. Reinventing the Shopping Concept With exclusive 6 meters high ceilings, mezzanine floors and private lifts, this is a fresh new way to create space and flexibility in Showrooms/Lifestyle Stores and create an unequivocal refreshing shopping experience. Convenience looms larger than life at Permas City. Experience unparalleled convenience with hypermarkets, shopping malls, showroom & retail stores, lifestyle stores, F&B outlets, etc. and well-connected transportation links within close and easy reach. 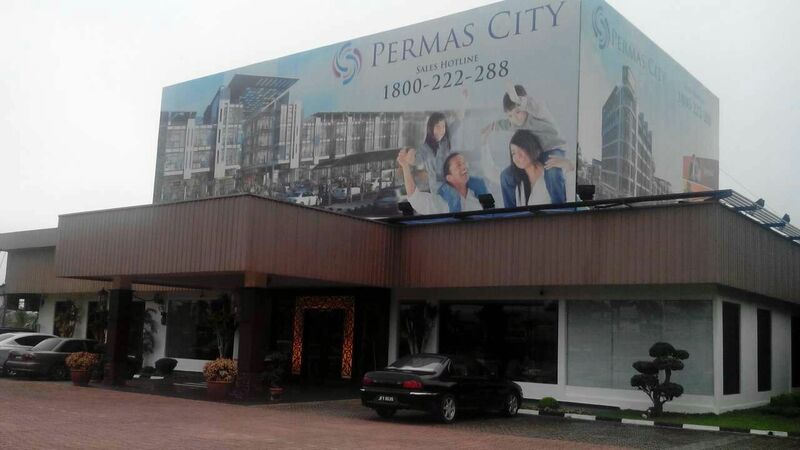 Permas City is spearheading the vibrancy of JB’s latest hub Permas Jaya , which is located strategically within very close proximity to JB city centre, Taman Molek , Taman Johor Jaya , etc. 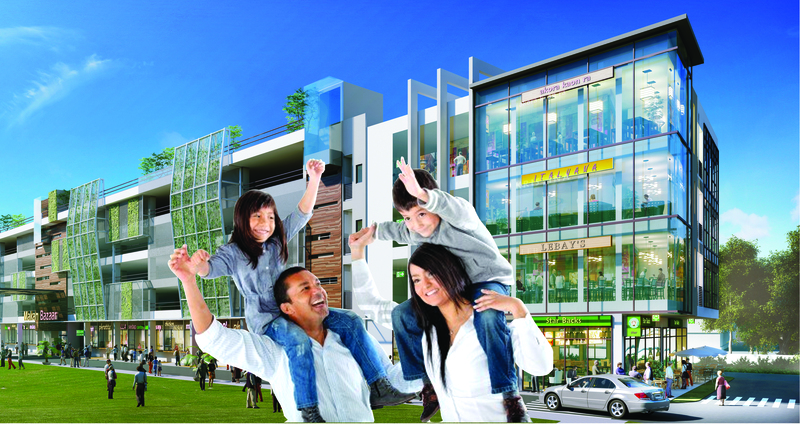 Suburban residents will now be able to experience luxurious therapy of shopping, wine & dining and entertainment right at their doorstep.Air-Conditioned Food BazaarPermas City Food Bazaar is endorsed and supported by Malaysian Government KPDNKK (Ministry of Domestic Trade, Co-operatives and Consumerism), under the 12 National Key Economic Areas (NKEAs) as one of the Entry Point Projects (EPP5 Makan Bazaar). Permas City is deeply honored by the support of the Minister of MDTCC, Menteri KPDNKK, YB Dato’ Sri Ismail Sabri Bin Yaakob. The vision is for Permas City to grow into a fully comprehensive development occupying up to 30 acres of land area that will provide services and entertainment for the whole family and of all ages. Phase 1 to 3 will provide the components of a Hypermarket, Hotel & Service Apartments, showrooms and lifestyle stores, F&B outlets and food bazaar. Future development phase may include a retail shopping mall with cinema featuring a “kids’ town”, among other exciting commercial developments. Total: 57 units . Limited Units Available for Sale ONLY ! WHILE STOCK LASTS ! Please call/wechat/Whatsapp +60137403390 or email gordonchoproperty@gmail.com for updates. Please feel free to visit our sales gallery or call us for a meeting to discuss more.